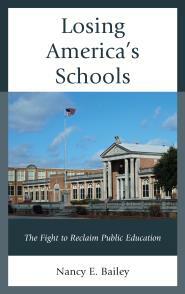 Those Who Seek to Privatize Public Schools are Working WITHIN the System! Since the anonymous New York Times Opinon piece claiming there’s a critic in the White House, at least one comedian has referenced the 2006 remake horror movie When a Stranger Calls. The babysitter contacts the police to get threatening phone calls traced. The bad guy turns out to be in the house! On a similar, but slightly different note, those who seek to destroy democratic public education are also working within the system. They’re inside the schoolhouse, and there’s an attempt to dupe us into thinking they’re seeing the light when it comes to the right way of thinking about public schools. It revolves around the word, “local.” We like that word. It makes us feel like we belong. But that’s not the case here. That’s why it is dangerous for public education. 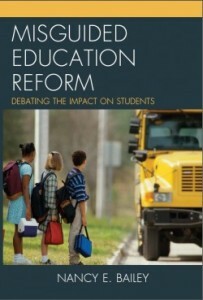 In “School Reformers Switch Gears,” we read that the Gates Foundation is backing off. The reality is, the Gates Foundation and other corporate school reformers are aggressively moving forward with their privatization plans. Helping the poor has always been their mantra. We’ve seen how this has worked out before. They are making their inside changes through a group called The City Fund. The plan involves converting public schools through partnerships into charter schools with “Portfolio Schools” and Education Cities. Blogger Tultican warned us back in August with “DPE 2.0 The City Fund.” He analyzes this group and the individuals who we remember for pro-privatization endeavors—like Chris Barbic, Kevin Huffman, Neerav Kinsland, and more. The City Fund is an “anchor group” which includes The Laura and John Arnold Foundation (hedge fund manager and his wife) and the Hastings Fund (Reed Hastings of Netflix fame). There’s money from the Bill & Melinda Gates Foundation and others too. They’re pushing charter schools and school districts that run with charter “autonomy” rules. It might look good on paper. Who doesn’t want business contributing funding to the local schools? But when corporations pay into schools they want something in return—their ownership of public schooling and how schools will run. Schools become a conduit to preparing workers for their future ventures. Under the Trump administration, privatization through vouchers has been full speed ahead with Betsy DeVos. We see technology as the ultimate end game, even though there’s no proof technology will help students do well. And there’s an emphasis on charter schools, even though charters have never proven to be better than real public schools. The professional teacher’s role increasingly decreases. The City Fund lists Denver as a prime spot. I wrote this about Denver last February. Consider the Luminary Learning Network involved with Denver Public Schools. This is a 501 (c) (3) that partners with The Gates Family Foundation [not the Bill & Melinda Gates Foundation]. They claim it’s an Innovation School Zone run by the community schools partners and with Empower Schools—a strange pro-privatization group out of Massachusetts that claims to inform and shape policies and share learnings to help advance the Third Way. The four Denver Luminary schools are apparently still traditional public schools, but you would never know it. They are run like separate charter or private schools, free of rules and collective bargaining. Instead of bolstering programs within the school, children and their families rely on outside organizations and businesses for instruction, like the arts. Denver has been tied to all kinds of insidious reforms in recent years, including the Relay Graduate School of Education which is a Teach for America-like group designed to destroy the teaching profession. All of this breaks up the structure of school districts and will likely pave the way for personalized learning—students who learn anywhere, anytime on the computer. Along with this, local emphasis on charter schools means charters, unfairly called “public charter schools,” are now often dropping “charter” from their title. Blurring the lines between charter schools and public schools is a nifty way to privatize the whole system. The point with all of this, is that the billionaire quest to remake public education in their vision, is not slowing down. On the contrary, it is moving forward insidiously fast. Watch for it in your school district. The scary thing for me is that we have politicians here in Australia who think the US and British systems are wonderful and have been trying to remake our public system in their image. We’ve already had “Teach for Australia”. Primary and secondary education here is run by the states, but some things belong to the Federal government, including funding, and if they could find a way to have someone else pay for education they would(we have some rich individuals but not as many as you do) and every now and then someone brings up vouchers. And private schools are also funded, with the tax money of people whose children will never be able to attend them. Thanks for sharing. Here is some information about the Global Education Reform Movement called GERM which is a good acronym for it. It is definitely concerning–the scope of the impact it has on the world. I don’t think Finland is being spared any longer either. They’ve seen some changes there as well. Sadly, as your comment indicates, no place is safe from school reform. and truly SAD that what you write about is the current state of affairs in 2018 after so much really great reporting and posting…..
Our teacher unions are also complicit. There is no strong opposition to charter schools or TFA in California. I agree. They’re needed now more than ever too. Individual teachers risk losing their jobs. The teachers who’ve gone on strike are most courageous. Good point. Thank you, Michael. Another aspect of this movement is that administration and teachers who feel comfortable with testing as a way of determining student success are complicit in this matter. Some teachers, indeed perhaps a majority now after so many years, like to be told what to teach and how to,teach it. Most administors look at data as proof rather than poop. I am not talking about teacher tests and observations. Teachers with experience know whether their children are getting it because hey have prepared reasonable instruction and a variety of student responses to that instruction. The testing I am talking about is remotely manufactured and arbitrarily scored. It’s purpose is to disrupt the school instructional climate with the notion that there is a problem identified by these scores. Lowering the cut scores or raising the cut scores in order to add or subtract from the body of students who are proficient or not adds to this toxic mixture. It causes administors to move teachers about in an attempt to make better test scores, to view some good teachers as bad ones, to venerate some bad teachers as good ones, and to create a climate of pressure to do a mountain of paperwork to prove to a superior that things are going well. I agree, Roy. I guess I could argue that a lot of teachers I know don’t like being told what and how to teach, but many are worried about job security. Others jump on the tech bandwagon. Thank you, as always! Great coverage of this important subject, Nancy. Really interesting and informative links. It is crucial if Australia is behind the curve on education reform, Sue, that every effort is made to inform parents in particular of how disastrous the GERM has been for pupils and professionals in bot the US and in the UK. If you are looking for up-to-date commentary on how bad things are in the UK, I recommend Roger Titcombe’s blog ‘Learning Matters’. His latest post is as good a place as any to start. The point Michael makes is certainly relevant here in the UK too. As a retired headteacher, I am struggling to fully grasp why the teacher unions here are so disengaged. The damage being done to the educational opportunities of our young people is unacceptable. In a word, testing seems to be the only game in town and it is blighting a whole generation when added to the impact of the drive to marketise education. Our previous conversation about the need for an international coalition to fight this global infection, Nancy, looks more relevant and necessary all the time. I absolutely agree, and since you posted this, John, take note of Lucia’s comment from Italy! GERM sounds like it is alive and well there too! @Roy….thank you! Teachers are the key to topple this madness and they seem to be sitting around waiting for their own “doomsday”. I don’t understand it? The teachers in OK and WV certainly have my respect. Wish I could say the same for the teachers in my test centric state/district who acquiesce and test prep students instead of giving them the education that they deserve. Thank you, Lisa. I would put responsibility on parents too. It’s tough on teachers relying on job security to speak out. They are easily replaced these days with those without credentials. A lot of teachers leave. Their unions have not always stepped up for them either. And some, like you note, are dazzled by new reforms–usually tech. Parents may not have the same clout they used to, but they can still unite and make a difference. I’ve seen it happen at school board meetings. You are right about parents, Nancy. This latest BBC investigation into what can happen when parents apply themselves with dogged determination to find out the detail of what is happening in their children’s schools when others let them down. I have a growing conviction we ought to encourage older students to engage in debate about what is happening to their schools, too. I am aware of the possibility that this could potentially stray into allegations of political indoctrination. I actually believe our young people are far more street-wise than we give them credit for. They would need access to accurate information and possibly provided with questions that others with an interest in their future well being ask. We need look no further than the example of the Florida students, following the shooting on Valentine’s Day, to see how powerfully young people can articulate their views and influence policy decision making. Thanks again for the links, John. Absolutely, about the older students being included. Along with the best example you provide, Here are two more. I like the example of Garfield High School because parents, teachers and students were involved. I’m Italian and teach English as a foreign language in an Italian Secondary School, first of all I would like to thank you for your informative blog. Unfortunately the situation you describe is very similar in my country as well. We haven’t reached the charter schools level yet, but we’re on the way, at least as far as politicians and renowned foundations here as well are concened and are pushing hard for us to take that very path. We are instead awfully saddled with OECD-PISA testing results putting our school system in a constant shameful light blaming on teachers, especially, our students low results. In fact, this is the main reason, that standardized testing ‘s supporters, bring forth when advocating for a wider privatization of education. Moreover, as Roy states, in a previous comment we are also starting to observe in younger teachers the willingness to be told what and how to teach, this weakens our efforts to fight the trend that seems to have become worldwide, in addition Unions are no help at all in this sense. It is comforting to know, though, that there still is a good number of teachers and citizens in general opposing this detrimental change, that I truly believe is intentionally set to destroy public education everywhere. Thank you, Lucia. This is fascinating, albeit sad. It is particularly troubling that teachers there are signing on to reform. In this country we hear how we must keep up with everyone else, but if every other country is doing the same thing, how does that make sense? I appreciate this information. Keep us posted! Thanks for referencing my comments. To explain a bit further, what I meant was that the teachers who are experiencing the school,as defined by testing think this is the norm. Anyone not wanting regimentation has long since left. It will require some time before we can free schools up to attract people who want freedom of thought and imagination. Thank you for your interesting article. It prompted me to do some searching and also comparison. As a result, could you clarify something? In the article, do you intend to imply that the Teach for America group is a better group than Relay Graduate School for Education? In my online research, both groups seem to be conduits for promoting and establishing charter schools. Both groups also receive funding by major corporations and are affiliated with Americorps. Finally, I think that it is important to distinguish that The Gates Family Foundation is not the same as The Bill and Melinda Gates Foundation. The former is a family from Colorado, who started their foundation in 1946. The former, of course, was established in the late nineties. According to each group’s website; The Gates Family Foundation supports TFA and The Bill and Melinda Gates Foundation donates to Relay Graduate School for Education. Thank you, Melissa. You’re right. I am sorry for the confusion. The Bill & Melinda Gates Foundation have also donated to Teach for America in the past. To add a bit to the Florida story, Collier County voters blocked a “school choice” school board majority in 2016 and 2018. One of the sitting reform candidates was just appointed to Governor-elect Desantis’ education transition team, along with her two allies, leaders of the Florida Citizens’ Alliance. The governor also appointed Richard Corcoran to head the FL Department of Education. As FL House Speaker the last 2 years, he pushed through two damaging train bills, HB 7069 and HB7055, that diverts district funds to charter schools, allows for new “schools of hope” charter schools near lower-performing public schools, requires teacher union recertification, public access to district financial information, and more. The press doesn’t seem interested in tracing the money flow to these state education leaders, so I can’t say if these venture capitalists are active here, but suspect they are. Thanks for your excellent research. We could use help getting the word out about Florida privatization, which we expect to expand rapidly this year.